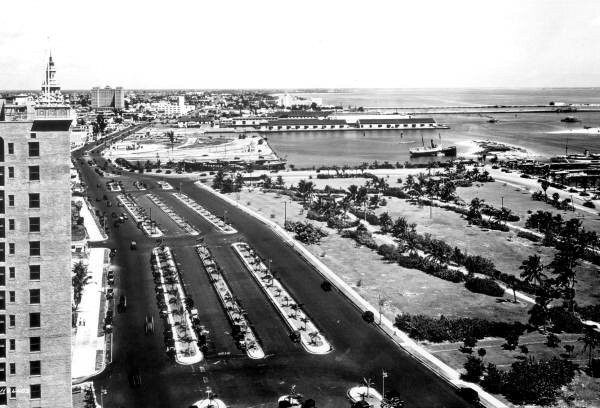 Looking North Biscayne Boulevard, April 1930. Photo by William Fishbaugh. Repository, State Library and Archives of Florida. Courtesy of Wikimedia Commons. 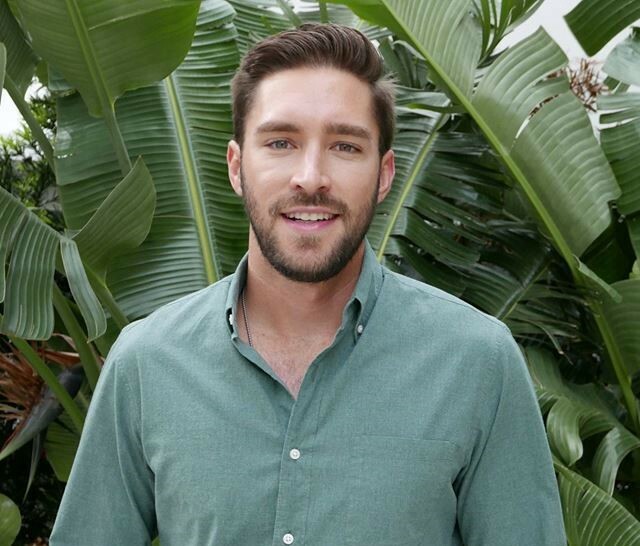 Want to get dinner on Biscayne Boulevard tonight? For the daytime population of 250,000 and 92,000 who call Downtown Miami home, that should be an easy question to ask. Although there are parks, offices, apartments and condos along the Boulevard, there are few dining options as businesses continue to close. The Boulevard has long been a beautiful destination. In the 1920s land boom, 900 Royal Palms were planted along the sidewalks to enhance Miami’s most beautiful shopping street, and an ordinance was put in place banning gas stations and heavy traffic. Biscayne Boulevard. Photo by Azeez Bakare, Azeez Bakare Studios. Besides the speeding cars and 115’ to 250’ long journey to cross Biscayne Boulevard, there is also very little shade. There are less than a dozen shade trees planted on the East side of Biscayne Boulevard along the 4,700 feet from SE 2nd Street to NE 11 Terrace which worsens the heat island effect. Ironically enough, six blocks of this distance are technically Bayfront Park, which has been so sliced up to create room for concrete plazas, attractions, and monuments that Google Maps does not even show it with the typical light green color designating a park on its maps. Even so, the most prominent street in Miami still serves many civic functions and brings people together. 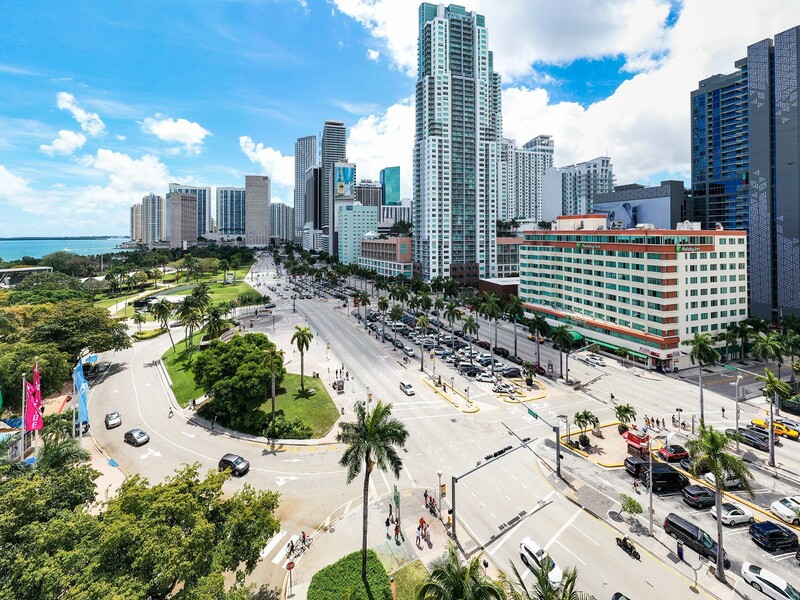 It has hosted Miami Heat Championship Parades, temporarily been transformed into a professional Formula E Race Track, become part of the crowd area for a stage during Ultra Music Festival, hosted the Miami Marathon and political demonstrations. The community is showing its desire to have better public spaces in Downtown. In 2017, a project called Biscayne Green transformed two of the southern Parking Medians into public spaces with a dog park, playground, open lawn, and entertainment venue drew over seventeen thousand visitors over three weeks. This successful short-term demonstration of tactical urbanism is part of the long-term vision to create a more pedestrian friendly Biscayne Boulevard. The Miami Downtown Development Authority is leading the effort to make Biscayne Green a permanent reality. The project looks to reduce the number of travel lanes, create dedicated transit and bike lanes, create public spaces within the center medians, and add trees on both sides of the streets. Lane dieting and smart street design have been shown to shorten travel times. Biscayne Green project. Photo by Azeez Bakare, Azeez Bakare Studios. The future Biscayne Boulevard with wider sidewalks, bike lanes, calmer traffic, and enhanced landscaping will create a destination unto itself, help reconnect Downtown with the parks on the waterfront, create jobs, additional tax revenue, make downtown more resilient to extreme rain events, and help fill the empty commercial spaces on the Boulevard and along other neighboring streets. Hopefully, some of these spaces will be cafes and restaurants, then the next time you question where to get dinner, somewhere on Biscayne Boulevard may be the top choice. 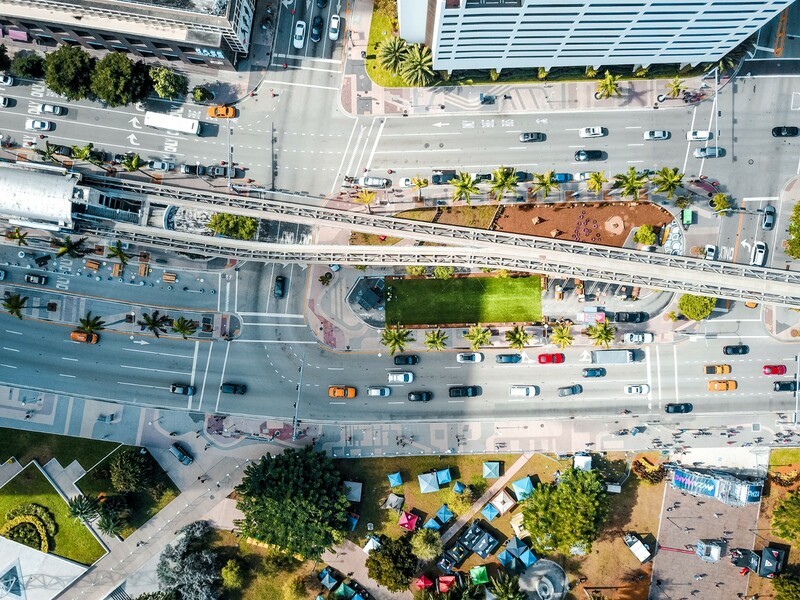 As a Downtown community, we must continue to show our elected public officials we want a pedestrian-friendly Downtown Miami and request a fast delivery of this transformative project. Our Roads are the largest public space in the city, and we have the ability and responsibility to shape Miami into an environment where we want to live. The question is: which road will we choose?